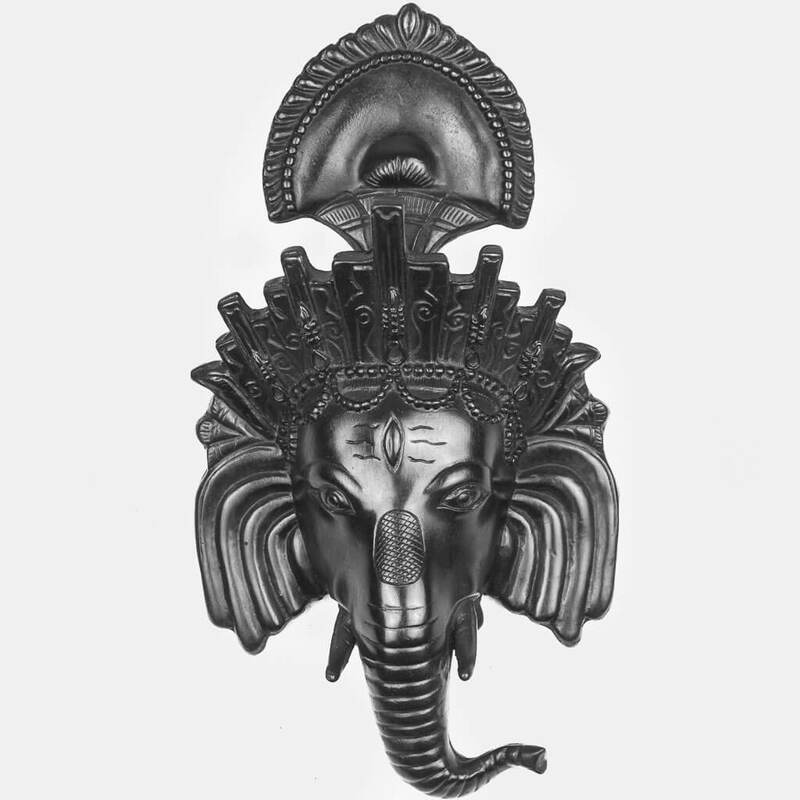 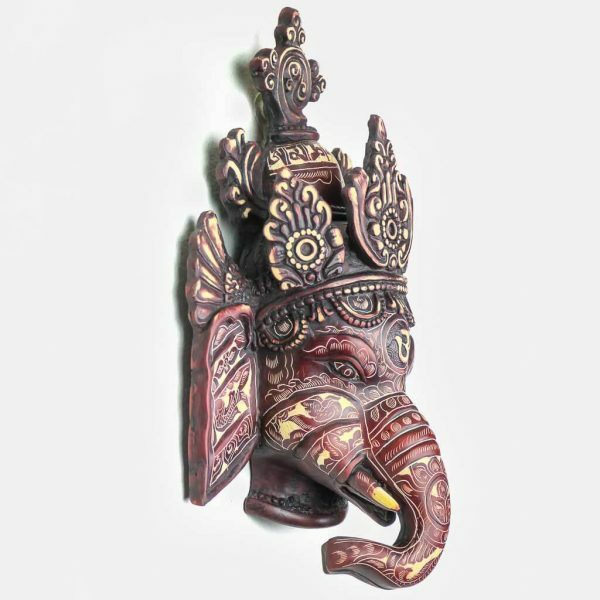 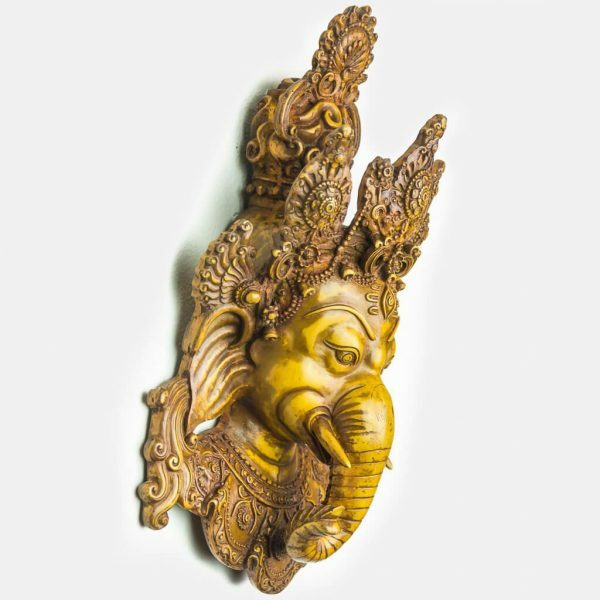 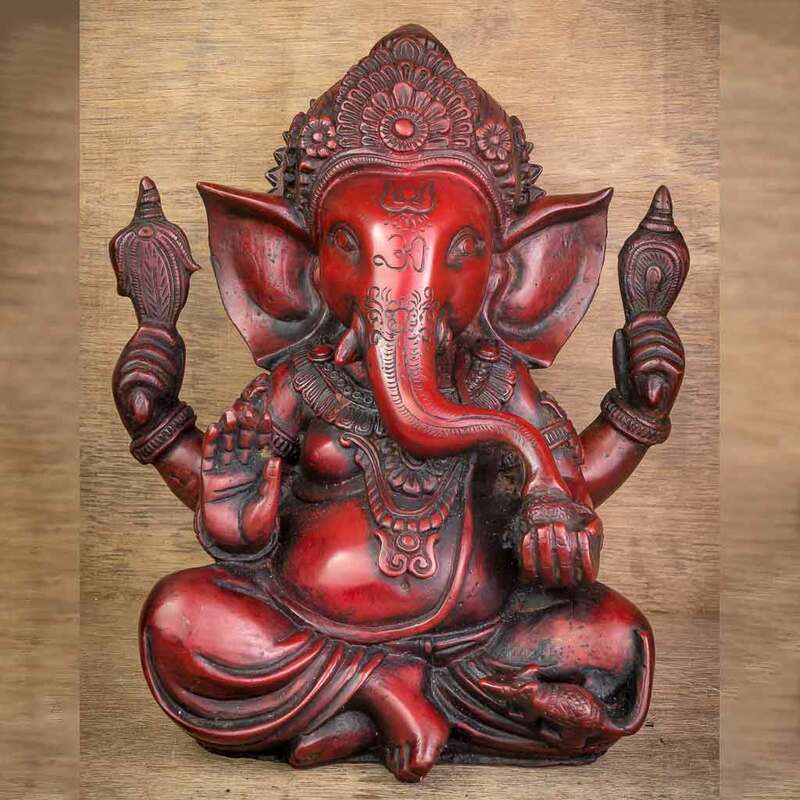 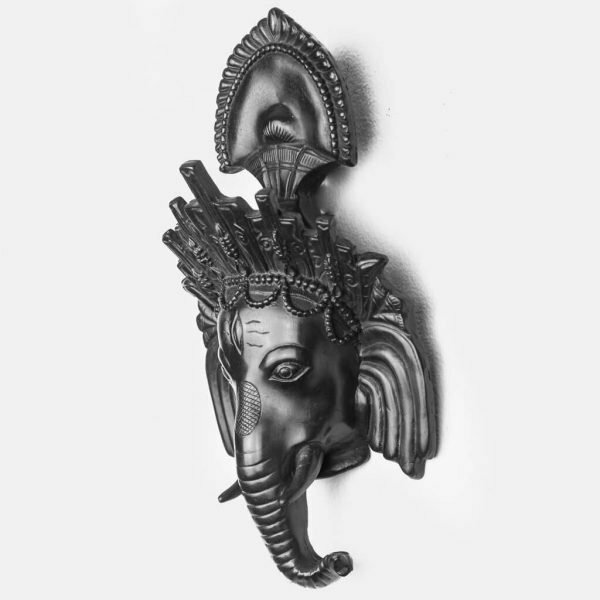 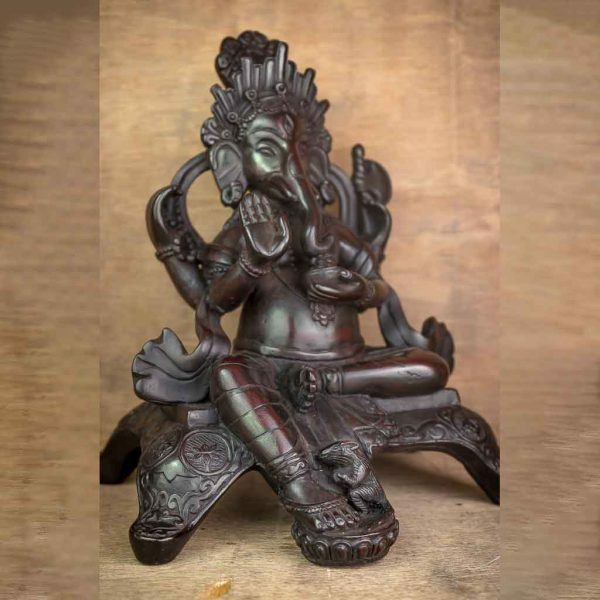 We can say ‘Antique Namaste Welcome Ganesh’ is a feel good wall decor. 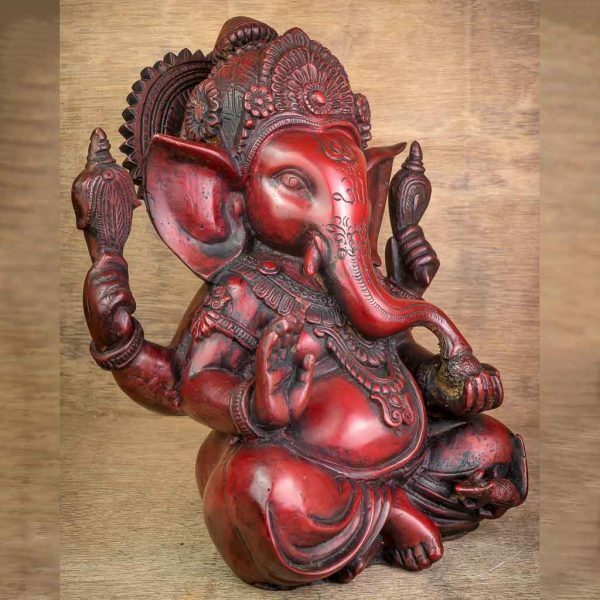 Just a glance of it is enough to make anyone feel welcomed and connected to it. 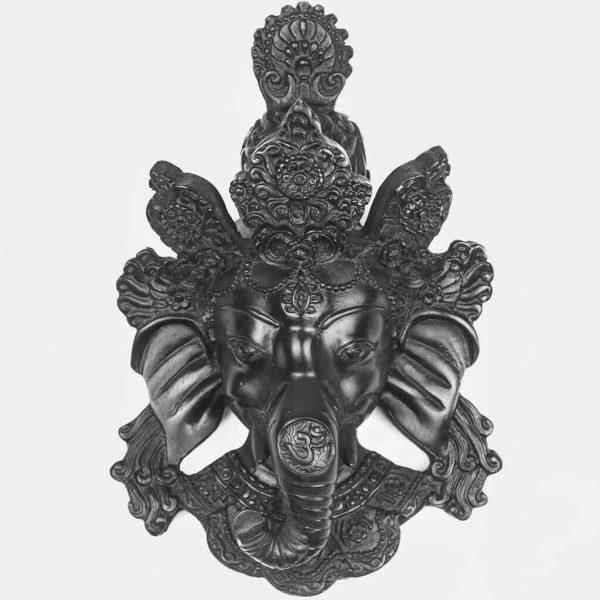 Definitely a must have at your home. 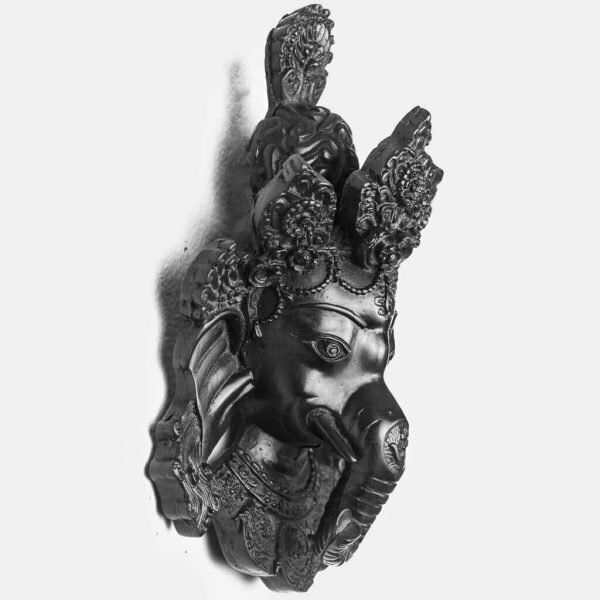 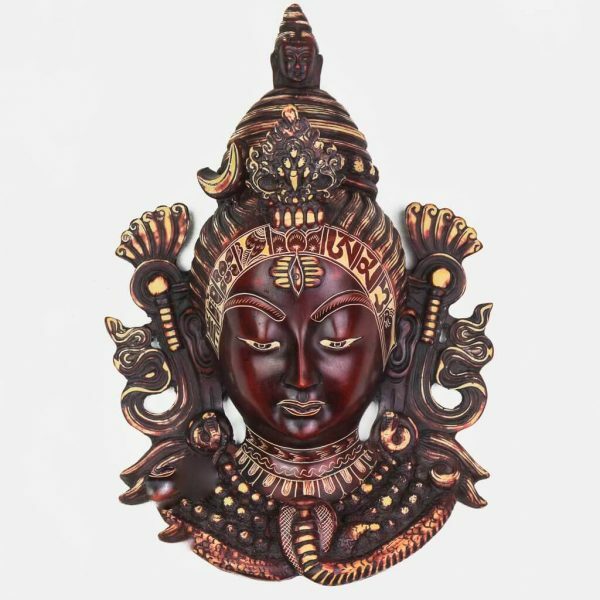 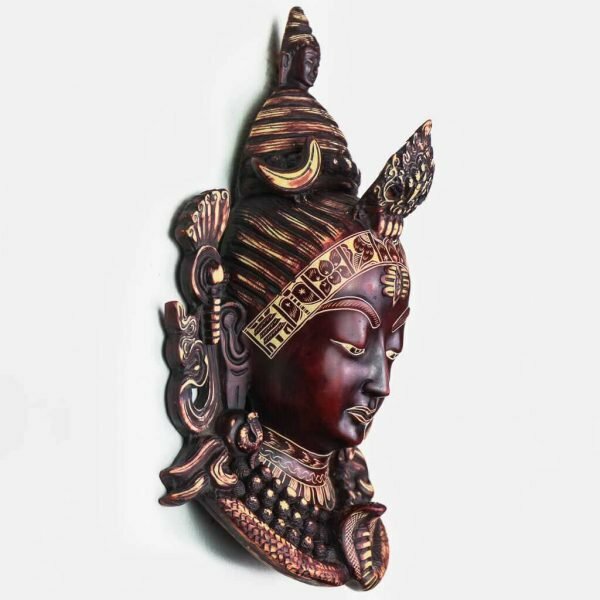 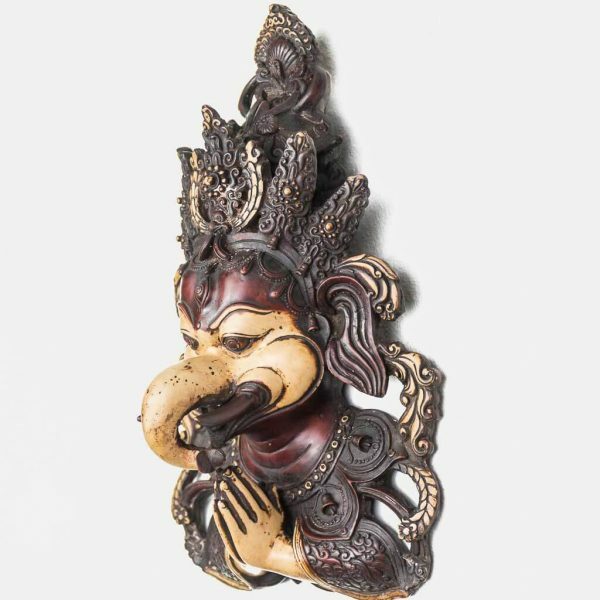 ‘Shiva Wall Hanging Natural Carving’ has all the attributes of Shiva; the serpent around his neck, third eye and crescent moon. 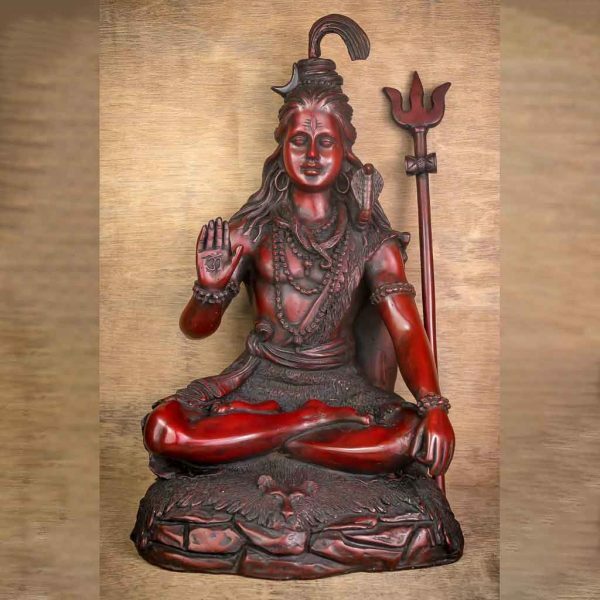 Revered mostly in South Asian Region, Lord Shiva has both benevolence as well as fearsome depictions. 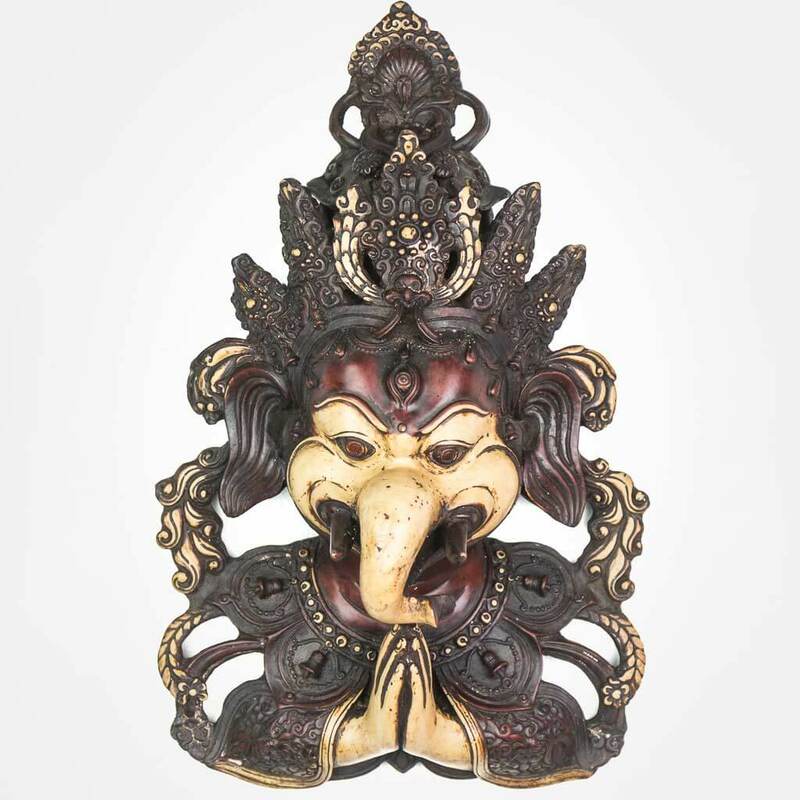 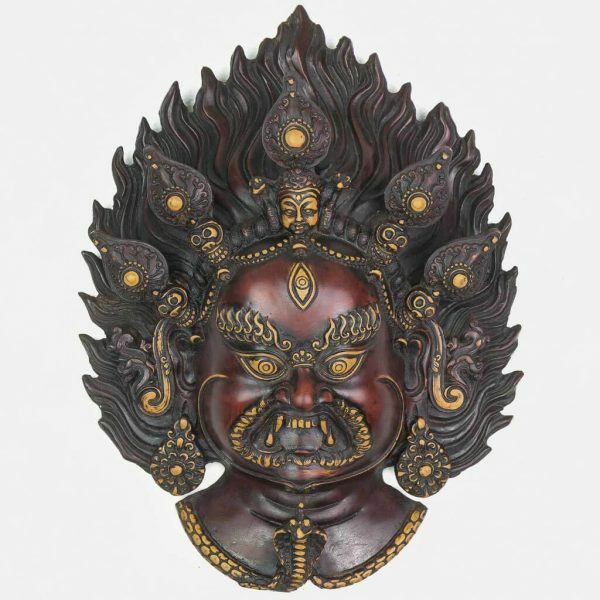 It is usually kept to remove negative and evil forces away from home. 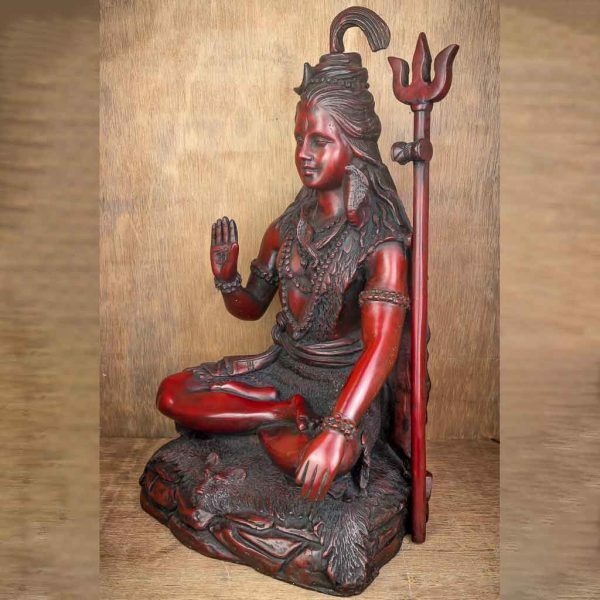 Revered mostly in South Asian Region, this statue of Shiva is the most accurate and true form of Shiva as we can see all the attributes; serpent on the neck, crescent moon, river Ganga flowing from his head, third eye,trishul, and tiger skin at the bottom.Lord Shiva is the supreme being and is the destroyer of evil. 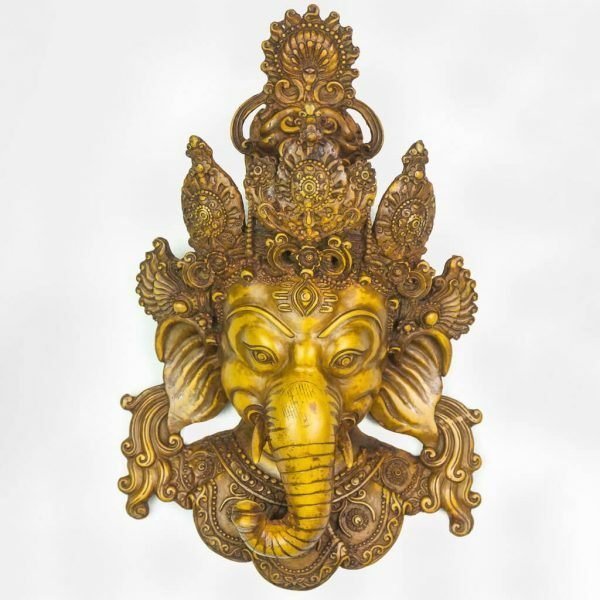 Crown Ganesh Statue is the most iconic and most worshipped form of Lord Ganesh. The crown represents the wisdom and mouse at the bottom is the vahan-vehicle of Lord Ganesh. Worshipped at the beginning of any religious occasions and rites, Lord Ganesh is believed to bring prosperity and good luck in one’s life. 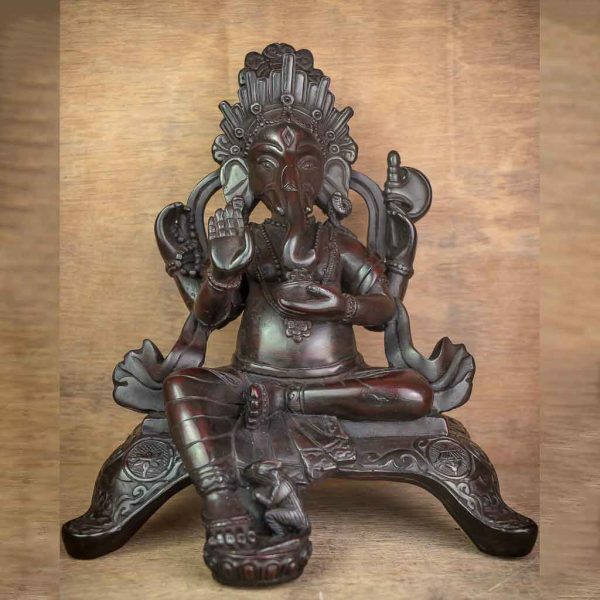 On this form of Ganesh, he is seen sitting on a ‘chowki’ which is a stool embedded with kamal-lotus, karuwa-vessel, sankha- conch shell and his mount- mouse. 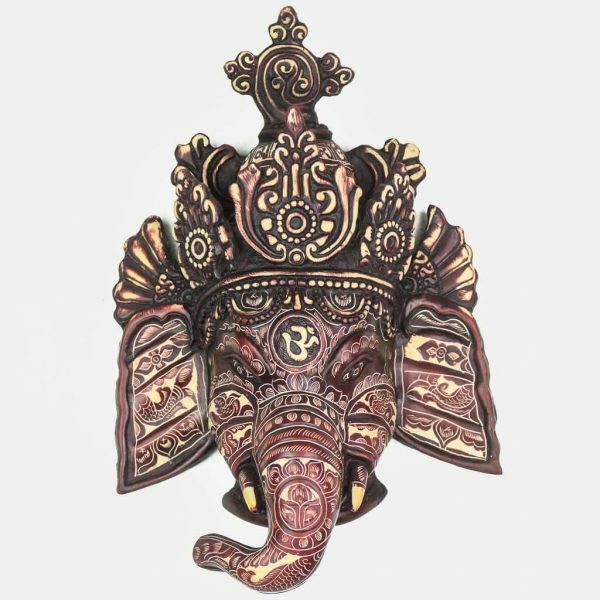 ‘Aashirvaad’ means blessing and this form depicts Lord Ganesh giving blessing to his followers and worshippers. 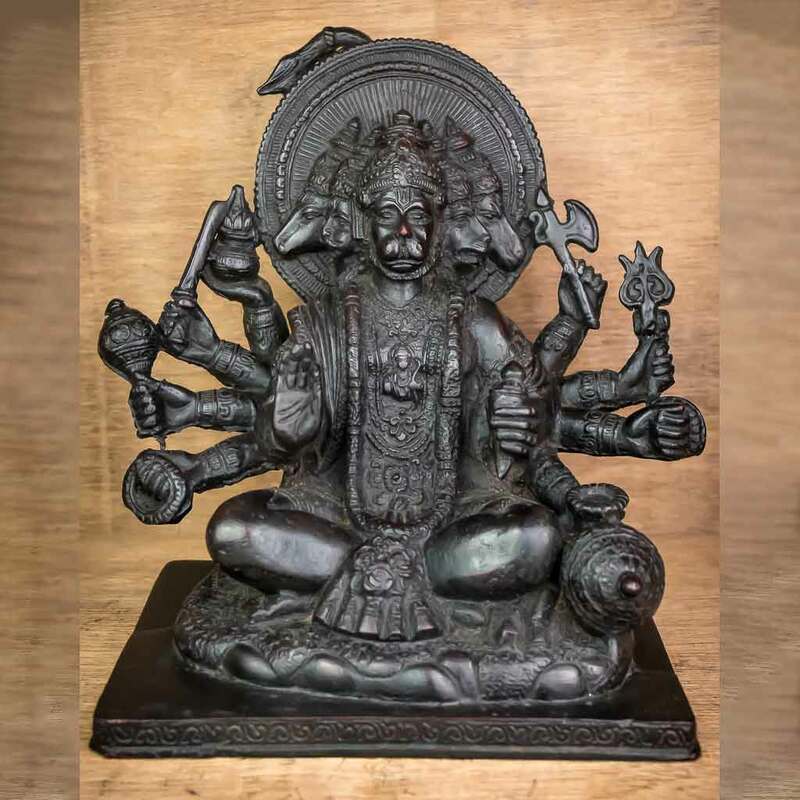 Hanuman is ardent devotee of Lord Ram. 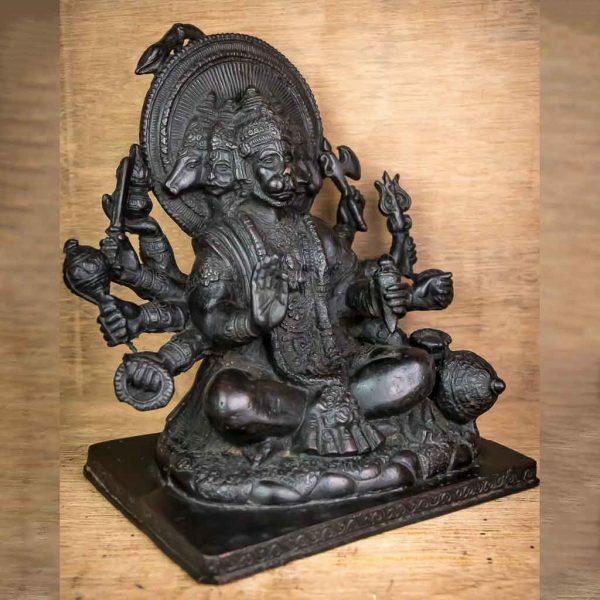 He is characterized as the protector and devotee in holy scripts such as Ramayan and Hanuman Chalisa. Hanuman is a super being with 5 faces and eight arms capable of doing numerous tasks at a time.